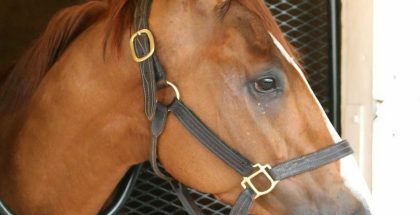 Home » Kentucky Derby » Simon Says: Does Anybody Want To Win This Year’s Derby? 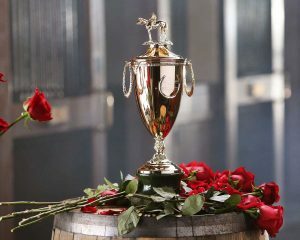 Does anybody want to win this year’s Kentucky Derby? I mean, seriously? After watching the Louisiana Derby on Saturday, which came on the heels of a subpar Rebel Stakes, a terrible Tampa Bay Derby and a God-awful Gotham, I have doubts. I mean, the figures weren’t bad. Noble Indy earned the highest Equibase speed rating (106) for a Louisiana Derby since Revolutionary (108), who was also trained by Todd Pletcher and subsequently finished third in the Run for the Roses. The problem is Noble Indy’s -9 late speed ration (LSR) is the worst since the race reverted back to 1 1/8 miles in 2010. Frankly, it’s almost incomprehensible that one of the late runners didn’t overhaul the son of Take Charge Indy in the stretch — yet they didn’t. Well, actually both Lone Sailor and My Boy Jack did, but Noble Indy fought back. And if I’m going to knock Pletcher’s charge for recording a subpar LSR, I should point out that his -10 early speed ration (ESR) was the best recorded by a Louisiana Derby winner in at least 26 years. In fact, of the horses running 1-2-3 after the opening half-mile, only Noble Indy finished in the money. Bravazo (third) finished eighth, while Marmello (first) checked in 10th — and last. As a numbers guy, normally I would applaud such an effort, but it just looked so ugly. Plus, there’s the addition of blinkers — something I was concerned about before the race and that even Pletcher admitted made Noble Indy “a little too headstrong.” Since 1992, horses that added blinkers in the Kentucky Derby itself or any of their three preceding prep races are zip-for-47 on the first Saturday in May and only three — Strodes Creek (1994), Prince of Thieves (1996) and Empire Maker (2003) — even hit the board.